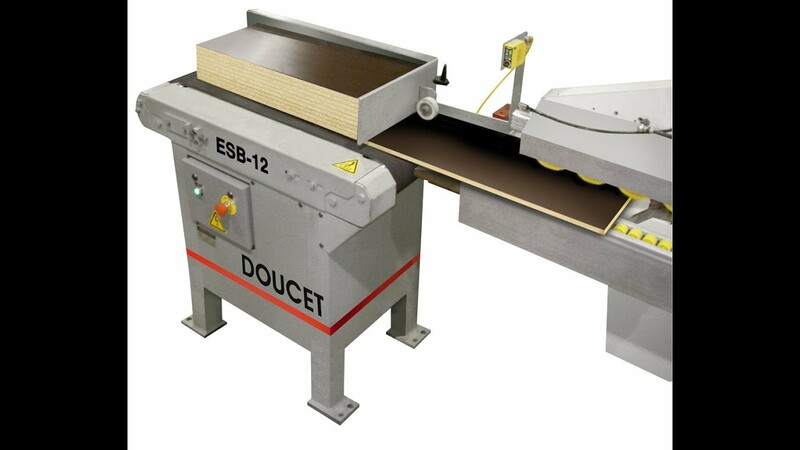 The Panel Sequencer Model ESB increases the productivity of Edgebanders, Shapers-Sanders, Tenoners, etc. right from the start. The ESB allows the operator to stage several panels in its bottom feed magazine. Panels are released automatically as soon as the preceding one clears the "no feed zone" on your Edgebander, or fed end-to-end on your Shaper-Sander. The ESB-12 features a 12" wide by 36" long feed belt. It is suitable for feeding panels ranging in size from 4" by 10" to 18" by 54" at up to 100 feet per minute. The ESB-16 features a 16" wide by 54" long feed belt. It is suitable for feeding panels ranging in size from 4" by 10" to 24" by 84" at up to 100 feet per minute.